How Will China Respond to the Victor Mallet Case? There is so far no official media response from China on the decision by Hong Kong authorities to deny a visa to Victor Mallet, the Asia news editor of the Financial Times. The story is most certainly a sensitive one, dealing as it does from China’s perspective with issues of national security and national sovereignty — and with the tinder-dry issue of separatism. We can assume that China’s foreign ministry is closely monitoring international coverage, and can anticipate that at some point we will have a statement running through all of the sovereignty bullet points and claiming respect for Hong Kong’s decisions on this matter. 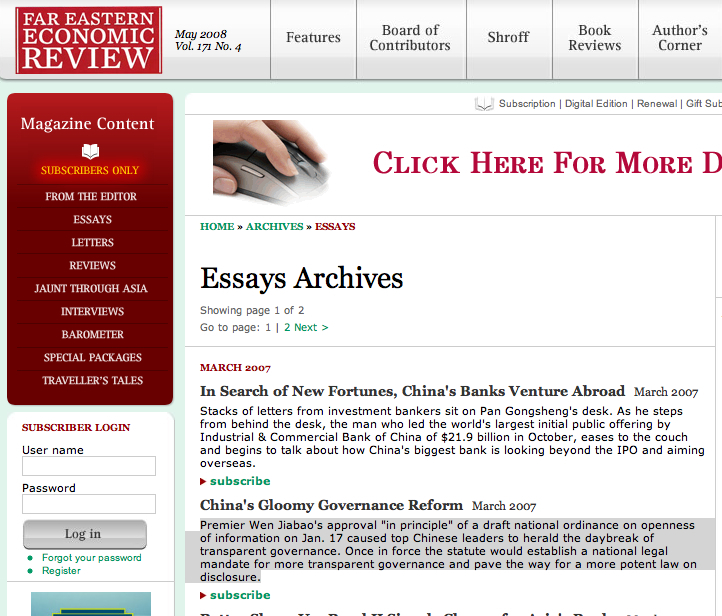 At some point, too, we might expect a few attack pieces from more peripheral state media, like the Global Times. Before these moves, however, it might be fruitful to review some of the previous official voices on the August event hosted by the Hong Kong Foreign Correspondents Club, which is likely at the heart of Mallet’s visa denial. The actions of the FCC this time around is a classic case of foreign forces interfering in the affairs of Hong Kong and all of China. On the one hand, their actions should be censured and exposed. On the other hand, everyone is clear that this is a routine clash, and that once Hong Kong and Beijing have registered their attitudes there is no need for everyone to think too much (高看) of the vile actions of the FCC. This was a dirty stunt by certain people, and we can’t let it taint the agenda of Hong Kong and the whole country. No need to worry then. This is conflict as usual in Hong Kong. A momentary heightening of tempers. Except that it now clearly isn’t. The denial of Mallet’s Hong Kong visa is a clear escalation that will surely ripple through Hong Kong society and transform views globally about how credible the “one country, two systems” arrangement remains. And this is why it will be important to watch the way China characterizes the incident, and how it responds to the resulting international public opinion. The provide just a bit more retroactive context, we translate below the August 15, 2018, report in the overseas edition of the People’s Daily, another of the more important (among few) semi-official voices emerging in response to the Andy Chan event. 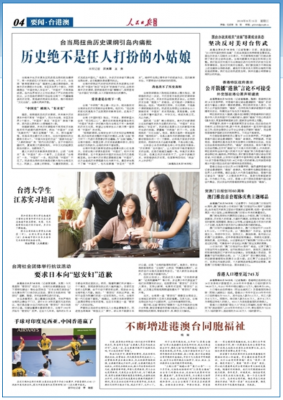 We say “semi-official” because the overseas edition of the People’s Daily is not exactly the same beast as the domestic edition of the People’s Daily. We don’t yet have responses from the core-most official media — the People’s Daily, Xinhua News Agency and CCTV — and until we do the article below will be one of the closest approximations we have to an “official” view of the matter, and the attitude of the leadership, outside of statements from the foreign ministry. We have italicized certain portions in the translation we think are of particular significance. The Government of the Hong Kong Special Administrative Region issued a statement on August 14 expressing deep regret over the decision of the Hong Kong Foreign Correspondents Club to invite a speaker promoting “Hong Kong independence” to give a lunch talk. A spokesperson for the HKSAR Government said that anyone openly proclaiming or promoting “Hong Kong independence,” and any organization providing a platform for such speakers, was entirely inappropriate and unacceptable. The HKSAR Government spokesperson emphasized that the Basic Law clearly stipulates that the Hong Kong Special Administrative Region is is inseparable part of the People’s Republic of China. Promoting “Hong Kong independence” is an open violation of the Basic Law, and even more directly harms national sovereignty, national security and territorial integrity. The statement reaffirmed that the government fully attaches importance to press freedom and freedom of speech, but these freedoms are not absolute (这些自由并非绝对), and must be exercised in accord with the law. 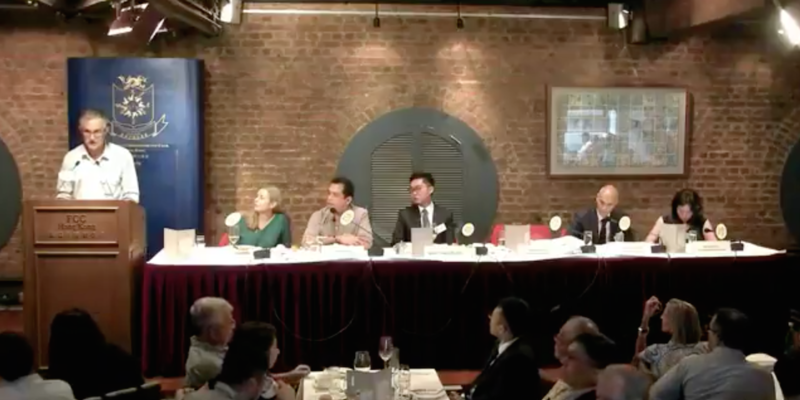 In recent decades, the Hong Kong government has all along supported the work of the Foreign Correspondents Club, but this meeting providing a platform to a speaker promoting “Hong Kong independence” entirely treats with contempt Hong Kong’s statutory duty to uphold national sovereignty, and it cannot be accepted. The Hong Kong office of the Ministry of Foreign Affairs issued a statement on August 14 severely condemning the invitation by the Hong Kong Foreign Correspondents Club of a speaker promoting “Hong Kong independence.” The statement emphasized that China’s Constitution and the Basic Law of the Hong Kong Special Administrative Region have a bottom line and limitation, and “Hong Kong independence” is a violation of the Constitution and the law, and fundamentally does not belong to the category of freedom of expression (言论自由范畴). 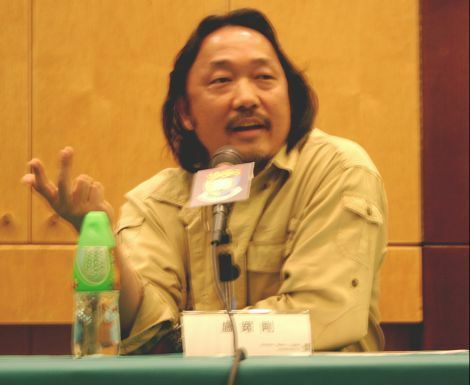 On the major question of opposing “Hong Kong independence,” the Central Government [of the People’s Republic of China], the SAR Government and the full people of China will not permit “Hong Kong independence” forces and the Hong Kong Foreign Correspondents Club to step on this red line, crossing the bottom line. The statement pointed out that we encourage the Hong Kong Foreign Correspondents Club to carry out introspection, to correct this wrong, to take actual actions to respect the laws of the People’s Republic of China and the SAR, with that respect including for the feelings of 7 million Hong Kong compatriots and 1.4 Chinese people. Any statements regarding the futile attempt to divide Hong Kong from China will be punished in accord with the law.